It's easy to forget that Craig Lowndes was once upon a time a driver for Prodrive Racing Australia - known then as Ford Performance Racing. Very much part of the furniture now at Triple Eight Race Engineering - where he’s called home since 2005 - Lowndes’ time with the factory Ford squad of the period was very brief, lasting just two years. It came at a time where the team, which had been born out of Prodrive’s David Richards purchase of Glenn Seton Racing, struggled to be a race-winning force as it navigated its debut season in 2003 with a three-car program for Lowndes, Glenn Seton and David Besnard. 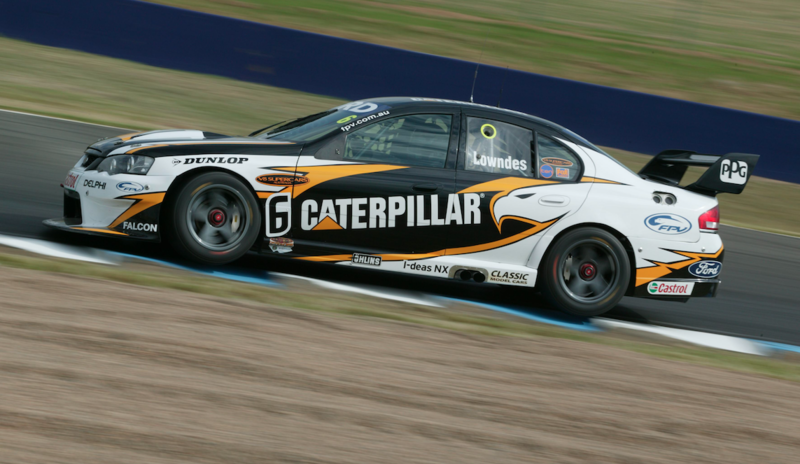 The team culled Besnard at the end of the season and reverted to a two-car program for 2004 with Lowndes aboard the #6 CAT-backed Falcon BA and Seton in the #5 Ford Credit-supported Falcon. So just what happened to the car driven by Lowndes that season, the same car he and Seton drove to second place in that year’s Bathurst 1000? 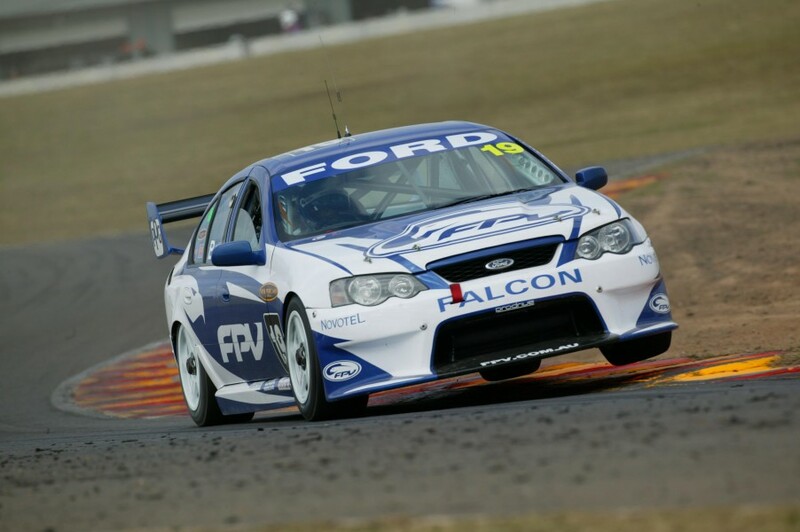 This chassis - FPR BA03 - was built new as a BA Falcon by FPR and debuted by Besnard in the BigPond 300 at Queensland Raceway in July 2003 as the team’s #19 after he had campaigned a pair of older model, ex-Seton AU Falcons in the early part of the season. Besnard raced this car for the remainder of the ’03 season and was joined by Owen Kelly for the endurance races at Sandown (finishing eighth) and Bathurst (crashed out after 115 laps). This was an ironic combination given then-Stone Brothers driver Besnard replaced Kelly at Bathurst in 2002 in Seton’s #5 AU after the Tasmanian fell ill and was unable to take his seat for race day. This particular chassis was originally labeled as the #19 entry, however from the Gold Coast onwards it ran under #7, a reflection of the fact it was actually running under the franchise leased to FPR by Rod Nash, who would later go on to become a co-owner of the team some years later. Besnard departed the team at the end of the season and FPR down-scaled to two cars for 2004. This BA03 chassis underwent a complete strip and was rebuilt and returned to racing in ’04 as Lowndes’ #6 CAT Falcon for the entire season. That particular year was a tough one for FPR as its engine woes virtually crippled any chance of results. Lowndes managed to score a runner-up result in the wet Eastern Creek round in April but didn’t trouble the scorers over the course of the months that followed. 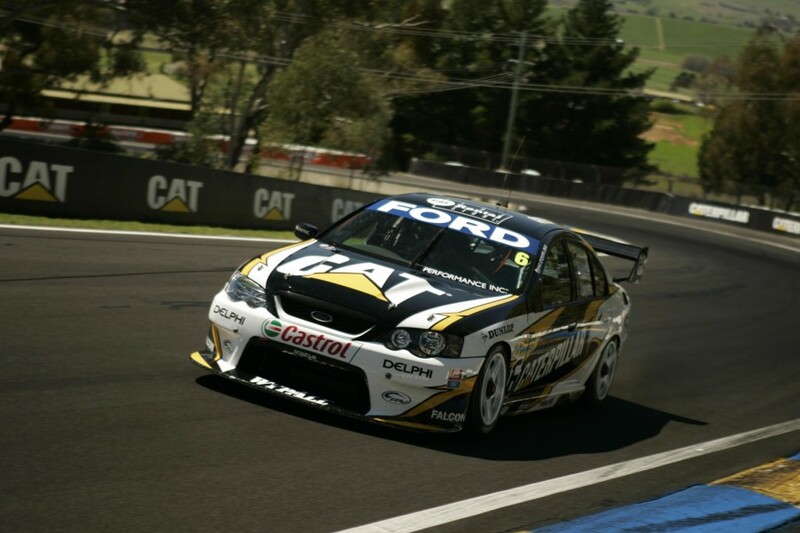 As in 2003, teammate Seton was Lowndes’ co-driver for the Sandown and Bathurst endurance races in 2004, and again the duo finished runners-up at Mount Panorama, again to the Kmart Commodore of Greg Murphy and Rick Kelly. 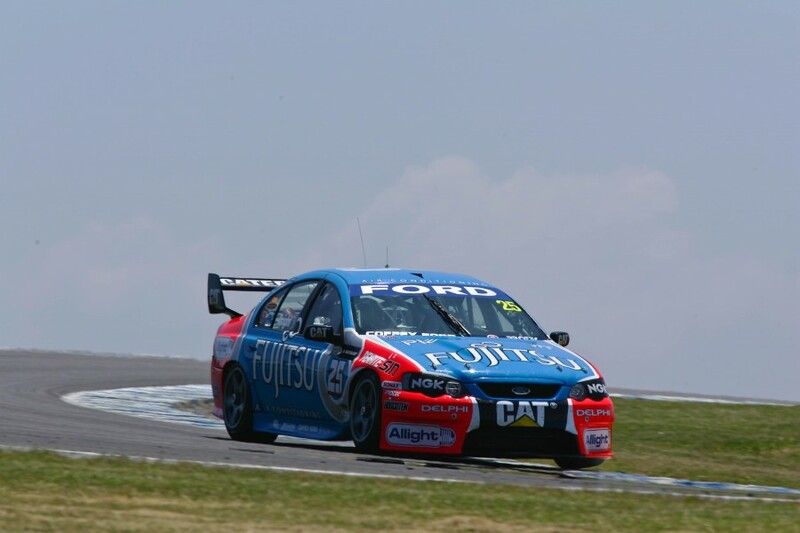 Lowndes finished fourth overall in the Symmons Plains round and had his final run in this car - and indeed with FPR - in the season finale at Eastern Creek before departing for Triple Eight. This chassis was sold to Jason Bright’s new Britek Motorsport outfit for 2005 and was driven by Steve Owen in Fujitsu colours as the #25 entry, though the car did miss a handful of rounds when various rounds’ grid sizes were capped to 32 and this car hadn’t scored enough championship points to be eligible to be in the field. Matthew White (who had driven BA03 as the #25 car at the non-championship Albert Park event earlier in the year) joined Owen in this car for Sandown and Bathurst before Owen finished out the season driving it at Phillip Island's grand final round. Rebuilt and updated by Britek over the off-season and given a new BM001 chassis designation, it became Warren Luff’s car to drive in the 2006 championship as the #25 Fujitsu Falcon BA. The former V8 Ute Series champion raced this chassis for the entire year, his best overall round result being 16th in the Clipsal 500, and he was joined by Adam Macrow as co-driver at the Sandown and Bathurst races. This car was upgraded to BF specification and became Jason Bright’s car for 2007 to drive when he joined his own team as driver. It was, however, heavily damaged in Perth in a practice accident and was eventually repaired and not returned until the Queensland Raceway round in July after Bright had been forced to use a spare Brad Jones Racing Falcon in the meantime. Bright used this chassis for the rest of the season, including the endurance races where he was joined by Macrow, and led in the late stages at Bathurst until the rain arrived and he crashed in the slippery conditions. Then-MotoGP Suzuki star Chris Vermeulen drove the car at Winton at the end of the season on the Britek team's end-of-season ride day before it was again run by Bright in the early part of 2008 before the debut of a new chassis. It was eventually sold and raced by Nathan Garioch (reverted to BA spec under the rules of the time) in the 2011 Kumho V8 Touring Car Series before being acquired by its former Britek driver Jose Fernandez, who had been running the car for the Garioch family. 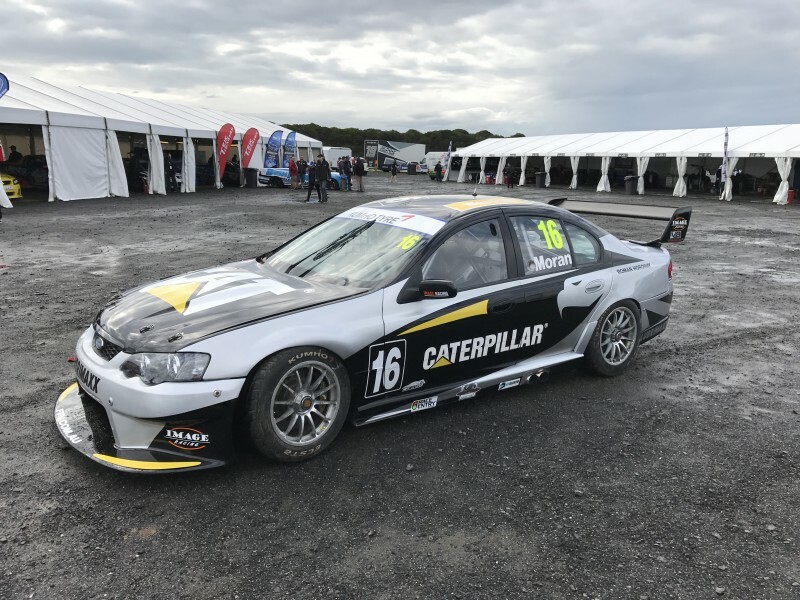 It was then sold to Leigh Moran, placed into CAT/FPR Lowndes 2003 colours and has since competed in Sports Sedan and Kumho V8 Touring Car competition prepared by Image Racing. Saturday Sleuthing returns next week on September 2 with a look at an interesting Holden.